Hi friends! 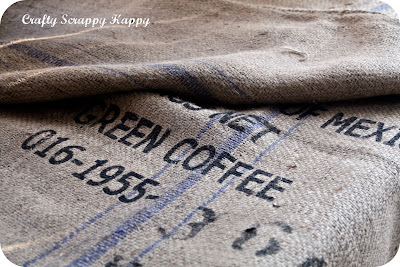 A few days ago I asked for your thoughts and opinions on a giveaway...and the opinions were unanimous, SOOO my thank-you-so-so-SO-so-much for being a blogging friend and follower of my blog, will be A coffee sack! I think it is safe to say that I am as excited as you are to do some fun crafty projects with these beauties! 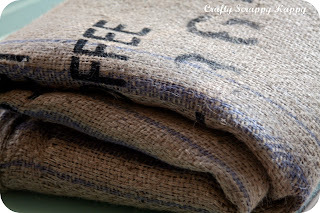 IF you would like to----I will feature the craft you do with the coffee sack right here on my blog! Fun right?!?! Please if you are not interested in being featured don't let this turn you away from entering the giveaway, it is completely optional! I adore all of you, and I am constantly blown away by your creativeness, friendships, and inspirations! I don't think I would "do" blogging if it weren't for all of the wonderful words of encouragement from all of you---so this is my little way of saying "thank you". ***This is not a sponsored giveaway this is just from me! -Please be a follower of Crafty Scrappy Happy and leave me a comment letting me know you are! 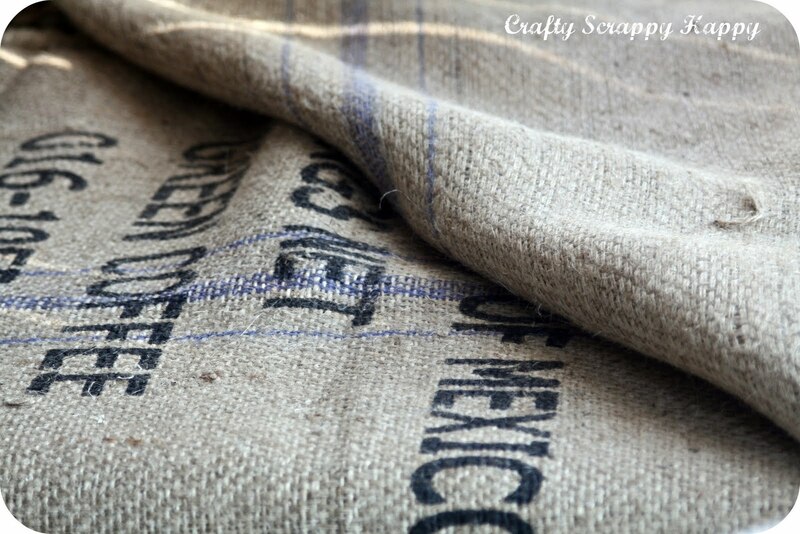 -Like Crafty Scrappy Happy on facebook page and leave a comment letting me know you do! -Tell others about the giveaway-either via twitter, facebook, or your blog and leave me a comment below letting me know you did! & THANK YOU for being a wonderful part of my little blog world. I will pick a winner June 24th!!! I follow your ultra-amazing blog! Yay! I "like" you on FB, darlin' girl! AWW! Jaime this is such a great giveaway! You are such a sweet gal!!! So excited about this creative giveaway! Followed and tweeted. Thanks for such an upbeat and creative blog! I follow your super cute blog! I follow your blog and I liked you on Facebook. I hope I win! I follow your blog. Love th coffee sacks! Oh...you know I'm a happy follower!! Thanks for the chance! I have the same background on my blog! We're blog-background twinsies! Great idea to feature the craft!!! I am a new follower. Great giveaway! I am a new follower - Hello! You might like to enter my giveaway lol! I'm feeling left out ...:( Just kidding...this is a sweet gesture even though I don't qualify...good luck to all...luv ya bunches Jaime. Hi bloggy bff! Obviously I drool over...ahem..I mean follow your blog! What a creative fantastic idea for a giveaway! AND shouted it from a roof top on Facebook! I'm a new follower - lots of ideas to use this - thanks for the chance to win! I have been following your blog for a great while & have loved reading about your adventures & ideas. Thanks for sharing your talents. I am subscribed to your blog\, and I liked you on FB. I really enjoy reading your blog. 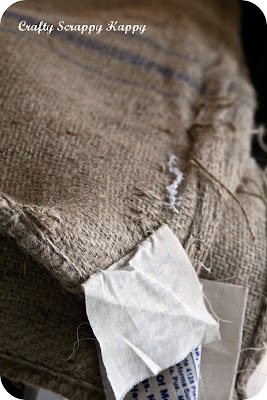 i;m not sure yet what I would make this coffee sack into yet if I win, but it would be lots of fun deciding and making something out of it. That coffee sack is even better than the ones I have found lately! Love it! I am a new follower. These coffee sacks are fantastic! I really hope I get these. Thank you for the chance! 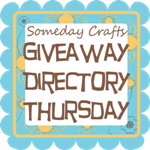 And I will be blogging about your giveaway on the day we blog swap! So excited! I "liked" you on facebook!! Great giveaway!!! Sorry I don't do Facebook and I don't have a blog or I would certainly post about this giveaway! You bet Im a follower! 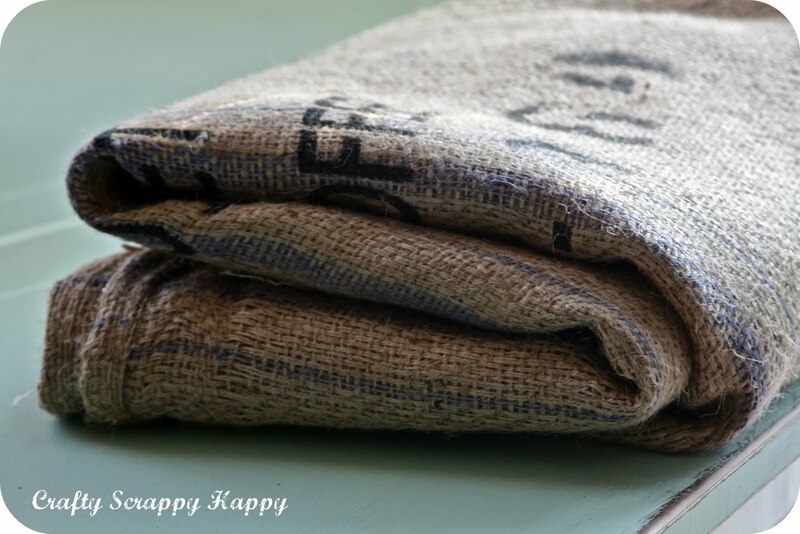 LOVE the coffee sack! So much potential in one little piece of fabric!